An improperly installed or damaged dryer vent can affect the efficiency of your dryer and contribute to excessive lint build up. When it is necessary to install new venting for your dryer either in new construction or because the original vent has deteriorated or was not installed properly, we are fully equipped to properly install dryer venting to meet the requirements of the manufacturer’s specifications, the Ontario Building Code and the International Residential Code. The Ontario Fire Code and the International Residential Code prohibit the use of plastic duct anywhere in the system due to the extremely flammable nature of the material, yet we regularly see plastic still being used. We use only the highest quality rigid venting which meets or exceeds IRC requirements. The original venting was blocked, deteriorated and poorly installed. We replaced and correctly installed the entire dryer venting system. 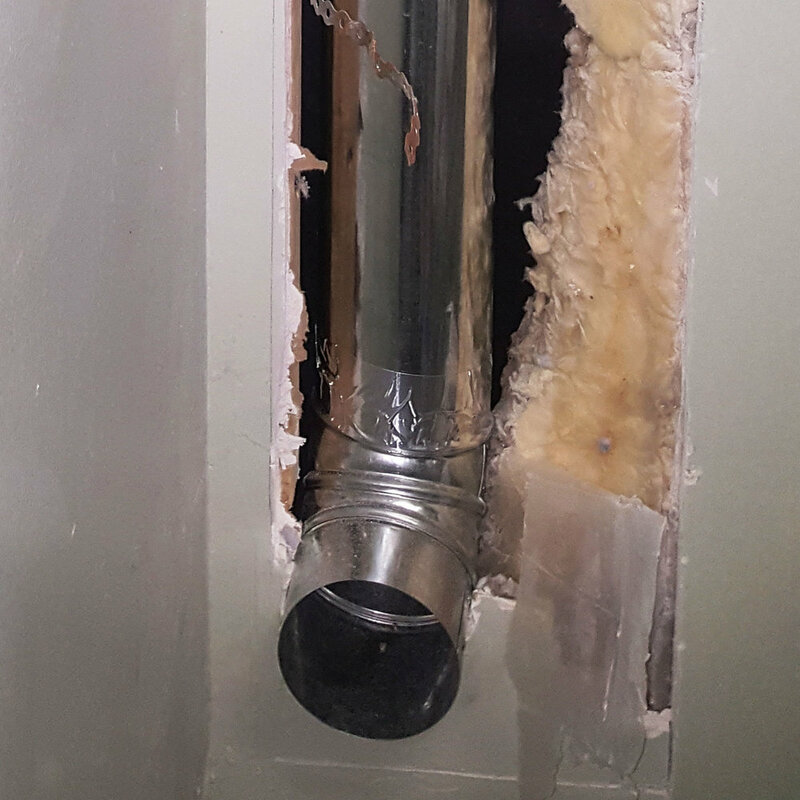 The transition duct is the short piece of flex duct that connects the dryer to the dryer vent. If this duct is plastic, it must be replaced. Even if plastic is not used, some transition ducts can deteriorate over time and will also need to be replaced. We use only the highest quality ULC approved transition duct.